We are hearing rumours that neither World Heavyweight Champion John Cena, or his Summerslam opponent Brock Lesnar, will be appearing on RAW tonight. It's no surprise that Lesnar isn't appearing and perhaps therefore it shouldn't come as a shock that Cena isn't either. I mean, if Cena's main rival isn't going to be in the building, then why should he be? With Lesnar's reported contract only including PPV's and a few RAW appearances - Is this going to become the norm? If he does beat Cena and win the titles at Summerslam, we will be seeing those two golden belts on television a LOT less often. For me, that would be a real shame. 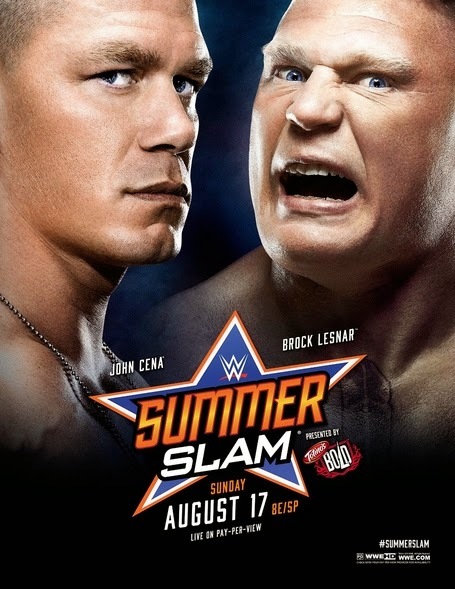 That's why at Summerslam - I'm team Cena.